Do you remember Orly Taitz telling her followers to call and write the court on her behalf? The court was not amused. In the case of Rhodes v. MacDonald, one of the things cited in the sanctions order against Taitz was her going into “press conference mode” at the trial. A lawsuit is a trial of facts and the application of law. Birthers have not understood what a lawsuit is. They believe that a lawsuit is a vehicle for them to convince the rest of the world that their view of reality is true and it’s true because they believe it. The only rule is that they’re supposed to win. Pesky things like facts and the law are irrelevant. Now, some birthers are saying that their folks need to appear at the January 26 eligibility hearing in Georgia to “support” the challenge. “Your Country Needs You on January 26.” What does that mean? Do they want to intimidate the court by sheer numbers? That’s not going to work. Judges don’t think that way. They look at the law and the facts, not the angry mob. If the birthers are going to be loud and unruly, then that will hurt them in the eyes of the media. If they sit quietly, there’s no way to tell who they support. If the birthers want to learn more about the case, if they want to see Orly Taitz up close and personal, or if they want to see how the real rules of evidence don’t match up with theirs, then by all means they should show up. However, based on past experience, Orly Taitz will make a fool out of herself and the judge will exclude all the hearsay and irrelevant things she will try to submit. Unless birthers really like frustration, stay home and read the coverage on the Internet. Rush hour in Atlanta is bad enough already. This is a court hearing. It is not a referendum on anything. 27 Responses to Referendum on eligibility? I am starting to think that the judge may be a birther, or a judge who wants his 15 mins of fame by being the judge who ordered the President to appear before him. The defense MUST take that into account and, react by being as normal as possible. So, yes, do file a new motion to quash, a very good one, checked by Perkins-Coie. Bring a COLB alomg on the 26th, mention Ankeny, object to every one of Orly’s witnesses as irrelevant, mention Orly’s adventure with Judge Land (that should get her screetching) and of course do NOT let the President come to the circus. The more normal the defense is, the freakier the plaintiffs will appear – of course, it does not really matter what this judge decides since the decision will be appealed. Oh, and when asked to comment by newspapers, Jablonski should not forget to upset the apple cart (hehe) by mentioning two of the plaintiffs (well, actually, one of the plaintiffs and one of the lawyers) are prominent members of the Republican party. Dr. Conspiracy: Of course not. I wasn’t remotely concerned that Obama would show up at that circus. I posted that for your Birther-readers. Paul Pieniezny: I am starting to think that the judge may be a birther, or a judge who wants his 15 mins of fame by being the judge who ordered the President to appear before him. By no means Paul! The judge has ordered no such thing. All he has done is deny a very weak request to quash a subpoena, a subpoena that should have simply been ignored. Refusing to act against said questionable subpoena is not the same as ordering up a President. 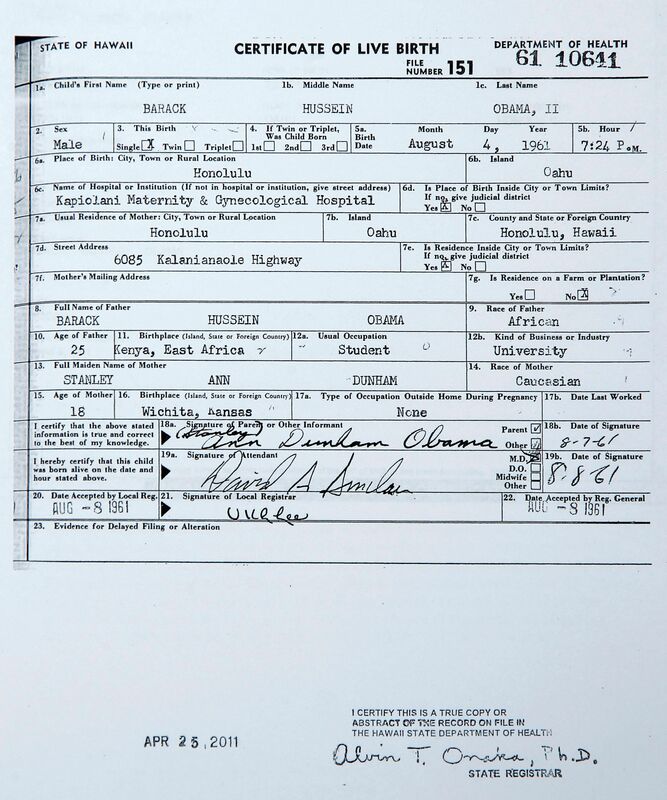 The Birthers would like to read that in, but there is no reason for a rational person to do so. I am sure the last thing a judge wants is a Presidential circus in the middle of a busy day. However, what a judge does/doesn’t want has no bearings on his ruling. Malihi has simply done what is right. He may be rolling his eyes while doing so, but it’s part of the gig. Looks like KBOA plans to be there. Her “support” at the Lakin court martial worked out so well. 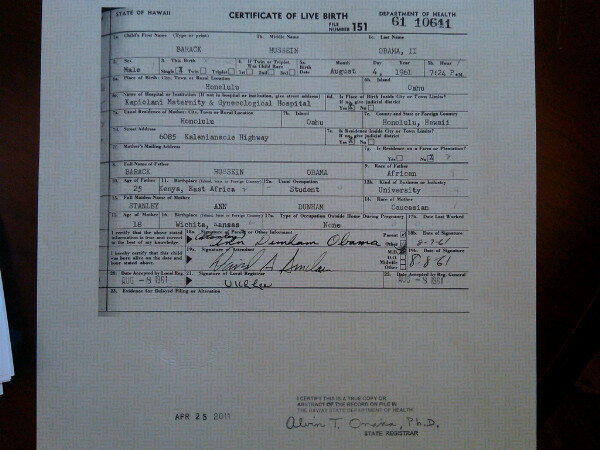 GA seems to have a fairly healthy birther population. This just makes the whole circus act even more entertaining if they get several dozens to show up. Probably one of KBOA’s most effective ads to her Birtheristani followers. I hope she succeeds in upping the clown factor of this event. It only makes the inevitable legal reality of their loss that day all the more monumental. I sure hope that the entire event gets recorded by someone there and then quickly get’s posted for all of us to enjoy. 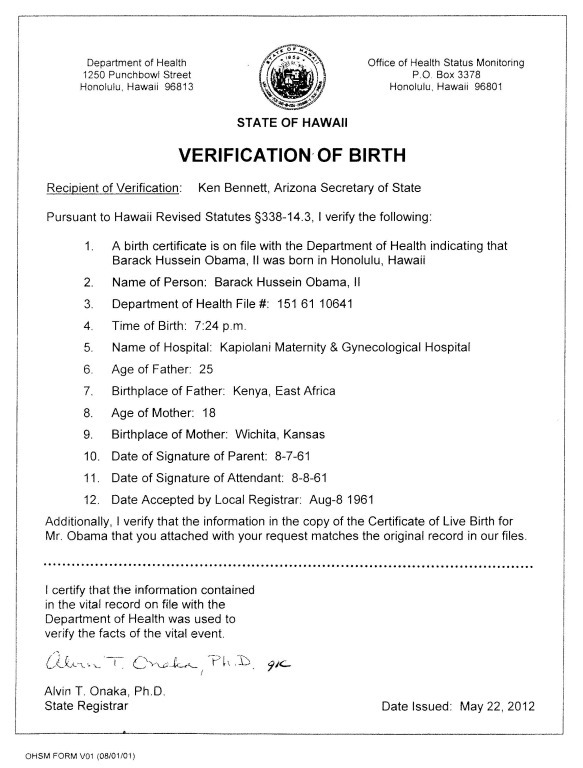 “Birther” ? Childish bullying makes some people feel important. So important that they feel they are above bowing to due process or rules and precedent, except what they feel entitled to. Not sure what you are actually arguing against or for here, Eric. 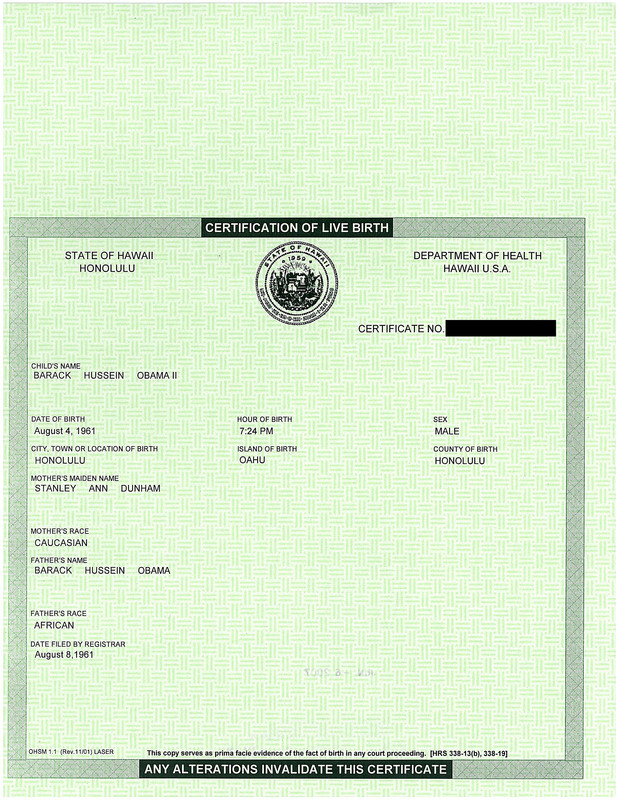 Birther is a well-recognized and defined term. It is simply a definition that applies to all those who buy into or push the various myths about Obama not being eligible or qualified to be President. Does it have a very negative connotation to it? Absolutely. But that is not “name calling”. The reason it has a negative connotation is because the whole mythology of Birtherism is a joke and is built upon nonsense and excuses to cover whatever underlying irrational visceral emotional responses are really driving these people’s fears and hatreds. Sorry, but if one buys into or espouses elements of Birtherism, then they are a Birther. Simple as that. Birthers are appropriately treated as foolish and crazy, because their entire mythology *is* foolish and crazy. The broad public derision of Birthers and Birtherism has been well earned. When the shoe fits, one must wear it. If people don’t want to be viewed as ridiculous, then they shouldn’t act ridiculous. Simple as that. Welcome to how Cause & Effect work. Birtherism is full of childish bullying. They are the only side in this equation that feels they are somehow entitled and above the rules and laws of this country. Eric: “Birther” ? Childish bullying makes some people feel important. So important that they feel they are above bowing to due process or rules and precedent, except what they feel entitled to. (Allegedly) from start to feeneesh. For live video coverage from the hearings, go to http://www.Art2SuperPAC.com. Offhand, I don’t recall what time the first court case is scheduled to start. If anyone can reply with a good idea of when this is likely to start, I’d appreciate it, thanks. 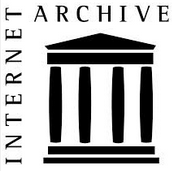 Wile: These cats say they will be there so that all of us can see… “the hearing of the century, for the (alleged) political crime of the century.” http://www.art2superpac.com/UserFiles/file/ART2SUPERPACANNOUNCEMENTREGARDINGLIVEGAHEARINGBROADCAST.pdf(Allegedly) from start to feeneesh. G: If anyone can reply with a good idea of when this is likely to start, I’d appreciate it, thanks. Promising “uncut, uncensored” coverage is pretty brave, thankfully the FCC hasn’t encroached onto streaming yet! “The hearing of the century, for the (alleged) political crime of the century!” …. well, we are only 12 years in, and Bush v. Gore was technically at the close of the last century …. at least they tossed inthe word “alleged”, a surprising bit of candor there. According to subpoenas, it should start at 9am on Thursday, the 26th. I’m not sure which year. Wile: According to subpoenas, it should start at 9am on Thursday, the 26th. I’m not sure which year. Just got off the phone with Ms. Helen. She seemed quite pleasant and…chatty. Of course, I didn’t offer any of my…um…views. She says she has been in contact with the Sheriff’s office and thinks she will be able to get into the court room about 8am and will be able to begin her live feed around 8:45. She anticipates some of the local affiliates will be there as well but hasn’t heard of any cable outfits planning on being there. She was a bit excited about a new subpoena having just been served today on the Secretary of State by Hatfield. I think Doc should call for an interview *wink*. Maybe after a REAL hearing on the MERITS, all the ranting nuts will shut up ? Wile: Just got off the phone with Ms. Helen. She seemed quite pleasant and…chatty. Of course, I didn’t offer any of my…um…views. Too much to hope for. What you have expressed is both a reasonable and sane expectation. Clueless? : Maybe after a REAL hearing on the MERITS, all the ranting nuts will shut up ? Wile: According to subpoenas, it should start at 9am on Thursday, the 26th. Will it be over by 10:30 so I can watch the U of A beat Wazzu if I can find a stream? Keith: Will it be over by 10:30 so I can watch the U of A beat Wazzu if I can find a stream? Re the schedule, the first case up is Van Irion’s and he is arguing nothing but the two citizen parent angle, Next is Hatfield which looks much the same but may have some add-ons. Then Orly with the elephants, dancing horses, lion tamers and trapeze artists. I hate to dampen the ardour of those longing to see crestfallen birthers standing open mouthed at a “decision” from the ALJ on the 26th. That’s not going to happen. Both sides have to submit their Findings of Facts and Conclusions of Law to the ALJ by the 5th February and only thereafter will the ALJ submit his recommendations to the SoS. Obviously it may be possible to conclude from the tone and content of the day’s proceedings as regards what that recommendation is likely to be, but there won’t be any “challenge denied” moment for the birthers to go all New Hampshire about on the 26th…..though any rejection of proposed witness/expert testimonies etc may generate some anger on their part. You are right on that. Everyone’s going to have to wait awhile for this to resolve and get to a ruling. Judge Mental: Re the schedule, the first case up is Van Irion’s and he is arguing nothing but the two citizen parent angle, Next is Hatfield which looks much the same but may have some add-ons. Then Orly with the elephants, dancing horses, lion tamers and trapeze artists.I hate to dampen the ardour of those longing to see crestfallen birthers standing open mouthed at a “decision” from the ALJ on the 26th. That’s not going to happen. Both sides have to submit their Findings of Facts and Conclusions of Law to the ALJ by the 5th February and only thereafter will the ALJ submit his recommendations to the SoS.Obviously it may be possible to conclude from the tone and content of the day’s proceedings as regards what that recommendation is likely to be, but there won’t be any “challenge denied” moment for the birthers to go all New Hampshire about on the 26th…..though any rejection of proposed witness/expert testimonies etc may generate some anger on their part. Judge Malihi doesn’t have anything on his schedule for the 28th. I’d think if it went long he might just call it a day and continue the next morning. Of course who knows if Orly complains that she’s got a flight to catch. I remember when I was on a Superior Court civil trial jury, the proceedings never started before 9:30AM and never went beyond 4 PM. I’m not sure what the deal is with these hearings, but I’m thinking they’re usually bland affairs that rarely take over a couple of hours. And fortunately for me, Stanford at Cal is this Sunday. 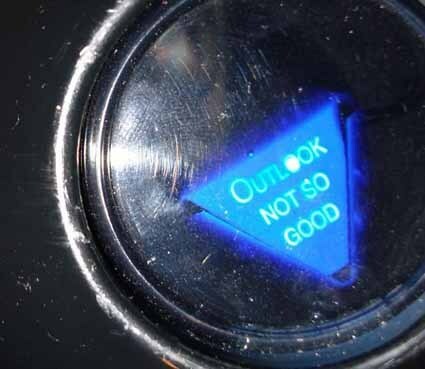 Not sure if it would be a good sign for the hearing to continue into the weekend. I always find that January is a dull month. Now, at last, I have something to look forward to. Luckily for me it will be about 3pm my time when the show kicks off. But I have booked the computer for the rest of the evening and it is off limits to anyone who thinks that their homework or amazon or any other frivilous stuff will get any time until the court closes. I just hope that there is no delay in getting Orly on and I m hoping for some good close-ups. I CAN’T WAIT!! I CAN’T WAIT!!! The poor judge has made a thorny bed for himself and I just hope that he is not too pre-emtive in dismissing the many cases before we get to the good bits..